Facebook created virtual Town Halls where users can comment and vote for 30 days (closing March 29) on the proposed draft Terms of Service. Two groups have been created: the Proposed Facebook Principles group, which highlights the rights and responsibilities of Facebook and its community and the Proposed Statement of Rights & Responsibilities group, which looks into the highly debated problem over who actually owns your content. To refresh your memory, Facebook updated its terms of service (those long pages of small text that too many of us almost never read) on February 4. The changes went unnoticed, only until a consumer-oriented blog attacked them, sparkling an Internet-wide debate over why should the social network own your content. Shortly after, Facebook reverted to its old TOS, hence now polling users on what changes should be made. The most radical and noteworthy change in Facebook's proposed TOS addresses the concern of last week's debate -- who should own the content you post on Facebook. The new terms read: "You own all of the content and information you post on Facebook, including information about you and the actions you take ("content")." That's a significant change from the previous grant of "irrevocable, perpetual, non-exclusive, transferable, fully paid, worldwide license (with the right to sublicense) to (a) use, copy, publish, stream, store, retain, publicly perform or display, transmit, scan, reformat, modify, edit, frame, translate, excerpt, adapt, create derivative works and distribute (through multiple tiers), [...]"
So in the new draft TOS, by signing up to Facebook "You give us permission to use, store, and share content you post on Facebook or otherwise make available to us ("post"), subject to your privacy and application settings," which basically covers the fact that if you put for example a picture on Facebook you have to grant them the right to use in order for you to share it with you friends. "You may delete your content or your account at any time with the understanding that removed information may persist in backup copies for a reasonable period of time (but will not be generally available to other users), and that content shared with others may remain until they delete it." That seems reasonable, considering that Facebook backs up its database on multiple servers and once you delete your account, the content you uploaded won't be "generally" available to other users. As for "content that is covered by intellectual property rights (like photos and videos), you specifically give us the following permission, subject to your privacy and application settings: you grant us a non-exclusive, transferable, sub-licensable, royalty-free, worldwide license to use, copy, publicly perform or display, distribute, modify, translate, and create derivative works of ("use") any content you post on or in connection with Facebook. This license ends when you delete your content or your account." The last phrase should put to rest any concerns that Facebook will us your pictures after you have deleted them or your account. However, a gap is left here over whether Facebook will obtain financial gain when using these pictures. Voting over the new Terms of Service is now open and "If users approve the draft Statement of Rights and Responsibilities, then all future policy changes would be eligible for a vote by users, provided the level of intensity of user interest would justify it," reads a Facebook press release. But Facebook's move cannot satisfy the 175+ million users of the social networks. Plenty of comments started popping up in the newly crated Town Halls with various opinions (of those who are actually on topic). 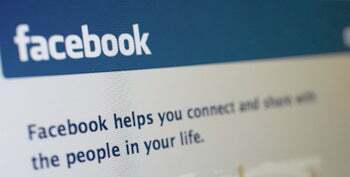 Blake Davis, a Facebook user, says: "Facebook is a private company and shouldn't have to solicit opinions of its users. Facebook is an oligarchy, not a democracy, and should be treated as such. Having people 'vote' on terms can only lead to havoc." But another user, Albatros Jones disagrees: "Vote away! As with any other organization (i.e. HOA, School Groups, etc) the community creates the rules and determines what is appropriate within the community. Facebook has become too large; it isn't run by the creators anymore. If it was, the TOS that became so controversial would still be in effect and we wouldn't be having this conversation right now." However, Facebook left plenty of loopholes in the draft TOS and judging by the number of comments already piling up on the Town Halls pages, opinions are divided. But such a debate Facebook created, in which millions have so much to say, could only lead to a discussion that will span way over the 30 days window the social network offered. As usual, I am highly interested in your opinion on this matter. Are you happy with the changes Facebook made into its draft TOS? Which issues do you think were not addressed? Have you found any other loopholes in the TOS? Please let me know in the comments.